For all scholarships, except those from The American Legion (See below): Email your request to Mr. Ron Vermillion at: rvermil53@gmail.com. On the subject line, please type "SCHOLARSHIP REQUEST". * Please notify the Pewaukee Scholarship Fund, Inc. of the address of your financial aid office at the time you receive your tuition bill. This will insure that your school receives your money before you need to write your own check. Your scholarship is a direct payment to the school. Those students receiving American Legion Scholarships: Please send a letter requesting your funds to including the address of the financial aid office on your campus and your student number (or social security number) to: AMERICAN LEGION POST 71, ATTN: FINANCE OFFICER, P.O. BOX 132, PEWAUKEE, WI 53072 One half of the funds will be paid each semester of your freshman year. Deadlines are Oct 31st and January 31st. If American Legion Post 71 does not hear from you by these deadlines, you will forfeit your award money. 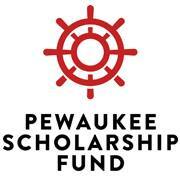 If you know that you will not be attending school for any reason, please notify the "Pewaukee Scholarship Fund, Inc." as a courtesy to the Pewaukee Scholarship Fund at: pewaukeescholarshipfund@gmail.com. You must request your scholarship funds each semester! The deadline for 1st Semester is October 1, and the deadline for 2nd Semester is February 1.